The colours of the ocean as your flying into this island are absolutely jaw dropping. 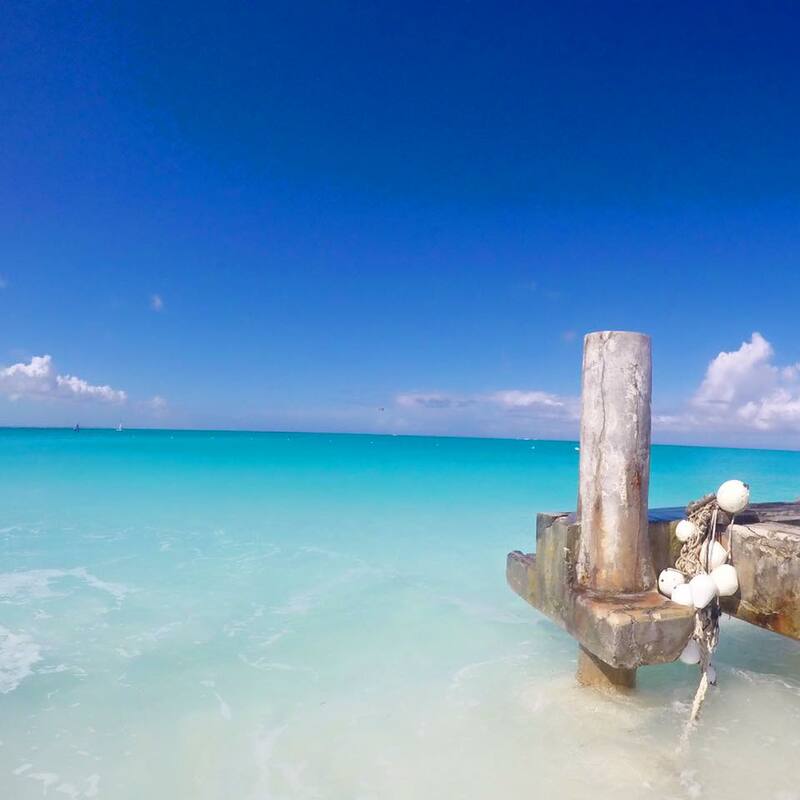 It is so so beautiful and as Grace Bay beach stretches for almost 5 km you are provided with the perfect tan enhancing exercise as you walk along and take it all in. I spent my time on Providenciales staying at the hidden luxury of Amanyara - teaching and treating here really was an honour. It's a remote private resort that is so beautifully designed creating a haven for guests, you reach the resort by flying down the 5k off road drive and into the most serene tranquil setting. As I was there in November through to February the weather was oh so beautiful and such a great escape, most of our guests flew in from the east coast so within hours your out of snowy NYC and in the blazing caribbean sunshine! If I wasn't sat admiring the water I was out finding foodie spots... so here are some of my favourites that fueled my time on the island. - Turks Kebab, just hits the spot nothing more to be said. - Le Bouchon, this restaurant was just as great every time I went back the only thing I will say is picking something of the menu is a nightmare because it is all so good. - Infinity Restaurant and Raw Bar - absolute stunning setting with hanging lanterns. - Seven Stars bit of a must if your a brunch lover! A lot of this island still really needs some love and whilst I was there I actually found the poverty very overwhelming (maybe due to the contrast). I witnessed the sheer desperation of people escaping from Haiti and the way in which they were greeted, if they made it. Theres an opportunity that arose from this and I will pursue that and do what I can for such a struggling world one day - Haiti and places alike need our help. With that said it doesn't take away from the islands beauty and if your a water baby it has to be on the list.